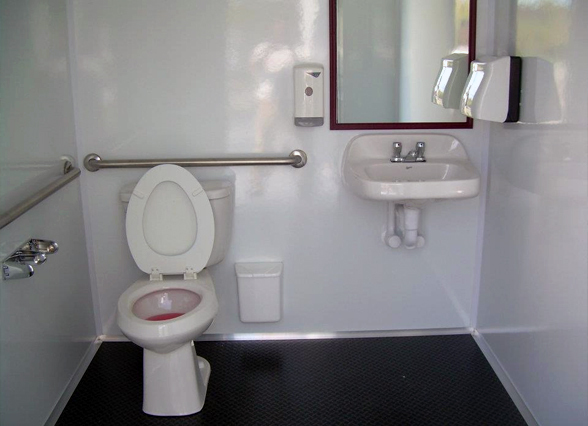 Our ADA restroom trailer is perfect for those needing special accommodations. 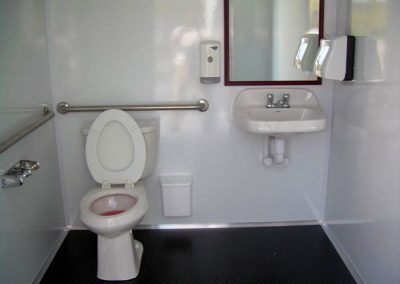 It is a spacious, air conditioned restroom, equipped with a flushing toilet, running water sink, hand rails, bright lighting, waste basket, mirror, soap, toilet paper, and paper towels. This restroom has a ramp making the unit wheel chair accessible and user friendly and is fully ADA compliant. 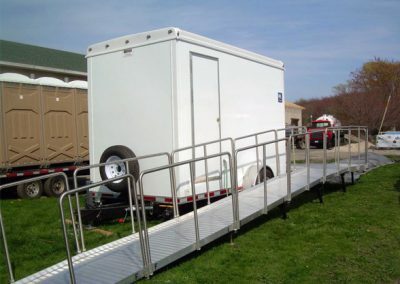 Our ADA restroom trailer is perfect to put alongside another restroom trailer for all your special event needs!